Denmark’s Port of Skagen will welcome 42 cruise ships carrying up to 69,000 passengers in 2018, more than double the 31 calls and 34,000 passengers in 2017, making it the port’s biggest-ever cruise season. In 2018, the port will welcome maiden calls from various ships, including Royal Caribbean International’s Navigator of the Seas and Serenade of the Seas, Viking Cruises’ Viking Sun and Viking Sky, and Seabourn Cruise Line’s Seabourn Ovation. Some of the repeat visitors will include Saga Cruises’ Saga Sapphire, Celebrity Cruises’ Celebrity Silhouette, Azamara Club Cruises’ Azamara Journey, and Cunard Line’s Queen Elizabeth. 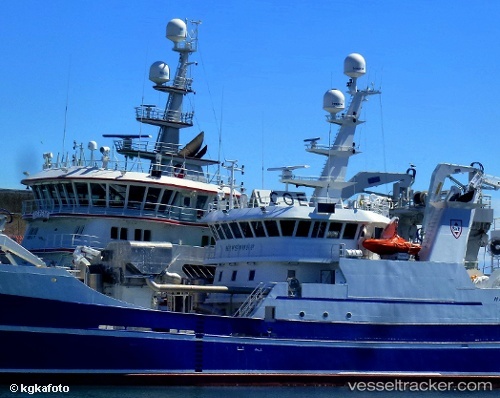 An explosion occurred on the newbuilding of a fishery inspection vessel at the Karstenens Skibsværft A/S on Apr 24, 2015, killing a yard worker aged 51 years. He was taken by helicopter to the Rigshospital where he succoumbed to his injuries at 9 p.m. Another man was treated with burns at hands and face to the hospital in Odense. Five workers were checked for smoke gas inhalation at the Hjørring Hospital in Ålborg, three of whom had to be medically treated. The accident happened during welding works at the crankshaft.